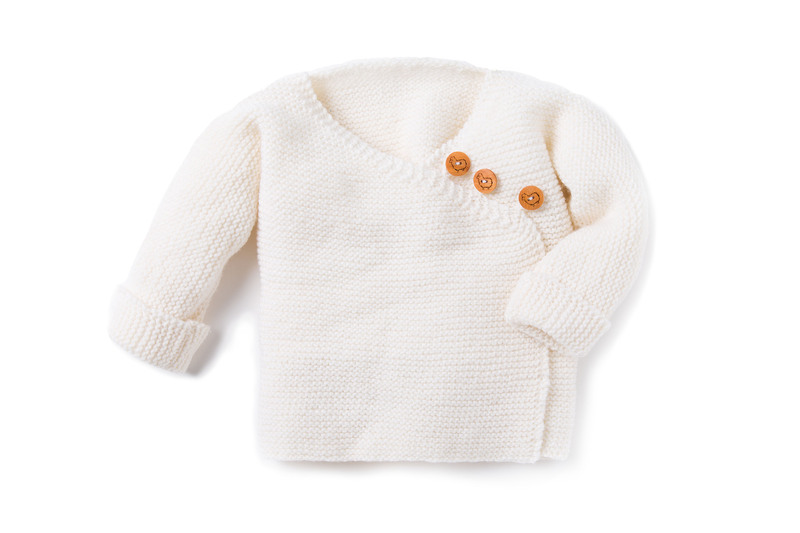 This wrapped jacket is easy on, easy off for your baby, the asymmetrical buttoned closure is pretty and unusual, and it’s an easy project, with sleeves knit in one with the body pieces. Choose from Baby Smiles Merino Wool 100% wool, Baby Smiles Bravo Baby 185 100% acrylic, or Baby Smiles Cotton 100% cotton. All Baby Smiles yarns are extra soft on your baby’s skin, chemical free and easy care, and come in a great range of colors. In six sizes to fit babies from 3 months to 2 years old.